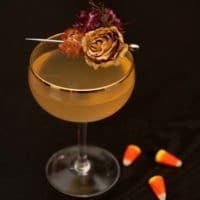 If you want to serve fancy cocktails at your halloween party this year, give this sweet little butterscotch Candy Corn Cocktail a shake! 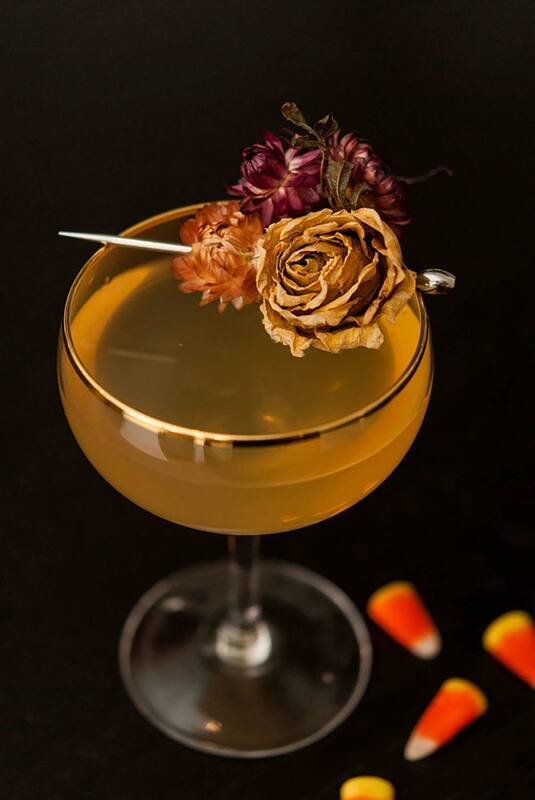 Halloween cocktails are so fun to dream up! 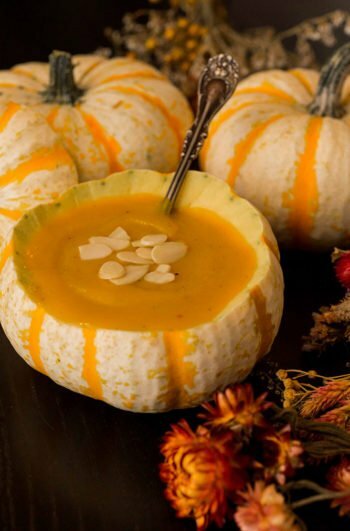 It’s easy to go a spooky route, but I love to keep it classy. I personally think candy corn are really yummy until about my 5th. Then it’s time to forget they exist until next Halloween, but I really enjoy them until I get to my 6th! 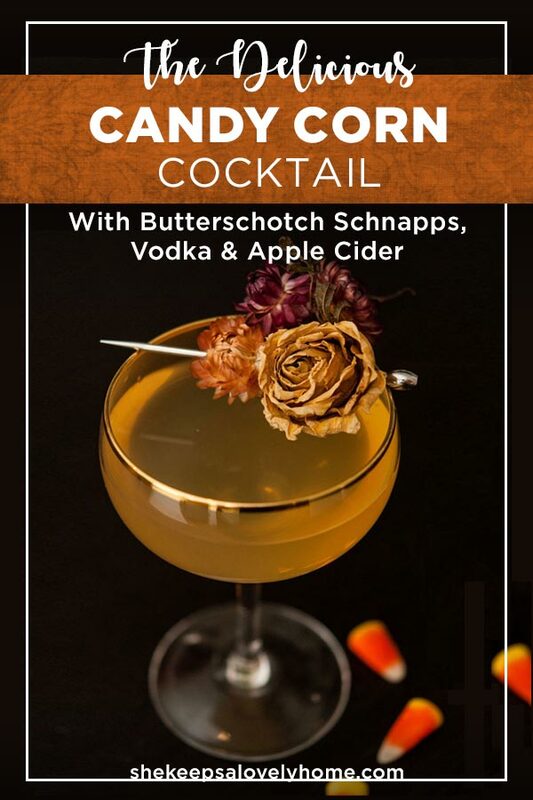 That being said, I could drink this tasty cocktail all year long! 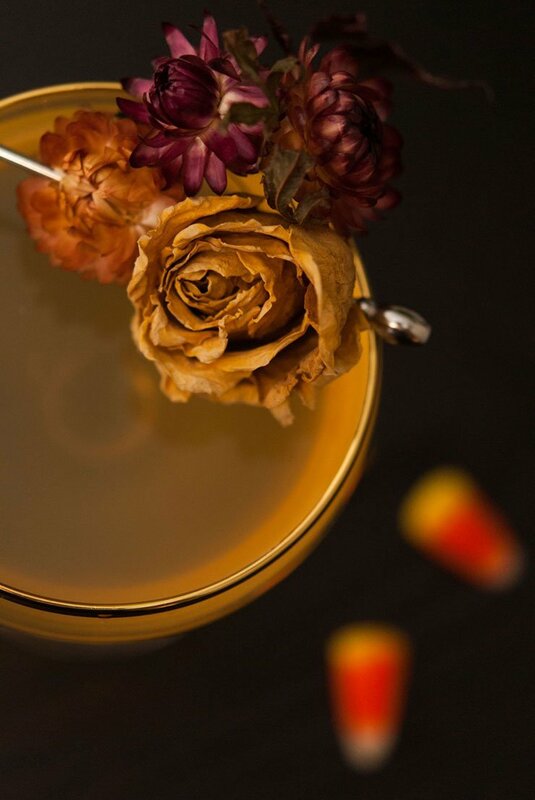 I tried, in vein, to pierce a candy corn with my cocktail pin for a very long time. I think I went through about 40 candy corns till I gave up. They just crumble. C’est la vie. 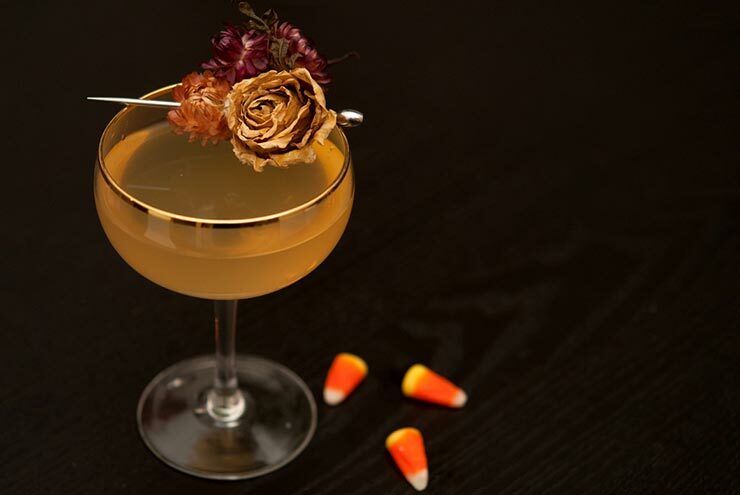 I settled for this golden, dry rose garnish instead, and it wasn’t too shabby. If you’d like to make it yourself, you’ll just need a lovely dry rose and a few other dry accent flowers. 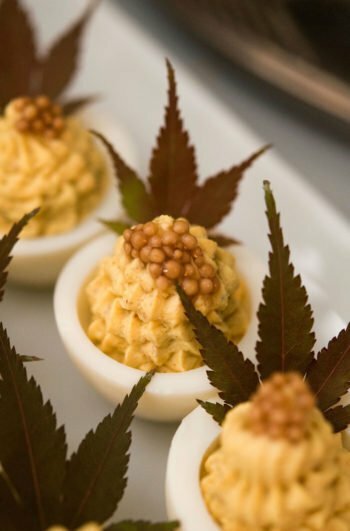 Simply pierce them through with your cocktail pin. Pour all ingredients into a shaker with ice, shake vigorously and pour into a frosted coup glass.